Scandinature’s documentaries about the volcanoes in Iceland created a new trend for documentary film making. The first film, Iceland Volcano Eruption, was produced for National Geographic Channels worldwide, and for Swedish and Norwegian pubcasters SVT and NRK. It’s a story worth telling. 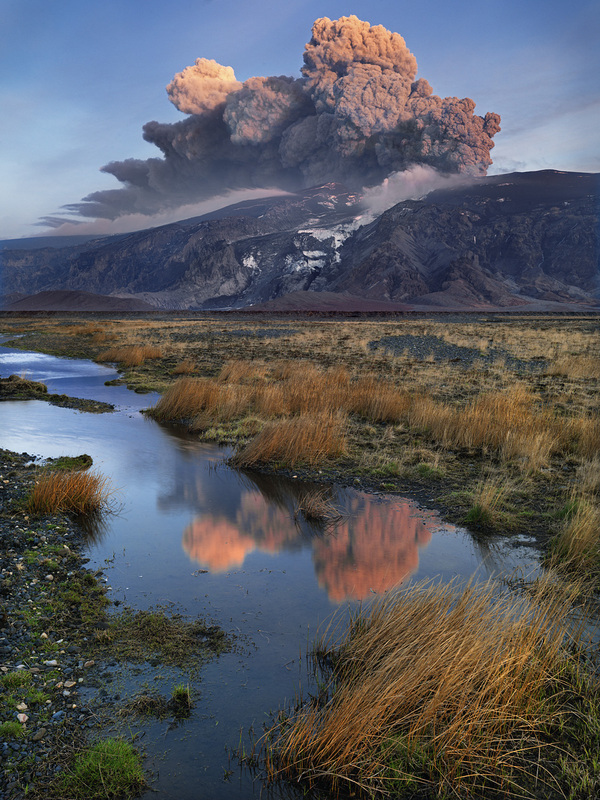 A few months before the eruption of the Eyjafjallajokul volcano in 2010, Bo Landin called NatGeo’s head of programming Steve Burns and offered a documentary about volcanoes in Iceland. There had been some rumbles under ground, and Bo had an inkling something was happening. The sentiment was not shared by Steve who said “thanks, but no thanks”. When the volcano finally erupted a few months later, and all the flights across the Atlantic were halted, the phone rang in the Scandinature office. Steve Burns, now with some urgency in his voice asked if he could change his mind. But he added, “but only if we can air this next Thursday!” That was 13 days down the road. A full length science special produced in 13 days!? Bo Landin said yes, not quite knowing how to do this. But with partners Anna Dis Olafsdottir and DP Johann Sigfússon on the ground in Iceland, already on the mountain when it erupted, Scandianture decided to have a go at it. The film crew drove into a crevasse on the glacier and survived. They drove in ash clouds so thick they could see nothing. No other films crews could fly into Iceland so the team initially had the place to themselves. With some luck they managed to fly out of Iceland (westward flights worked some of the days) hand-carrying all the tapes. In Salt Lake City editors Mike Fox, Steve Haugen and Adam van Wagoner sat prepared. Composer Alan Williams sat in California, sound mixer Ola Eliasson was in Sweden. A team at NatGeo in Washington DC worked tirelessly to get news footage from around the world to show the impact the eruption had on the world economy. Bo Landin run between all the editing rooms, writing pieces of script, suggesting graphic illustrations and animations, finding stock footage out of Scandinature’s archive (several films produced in Iceland over the years), communicating with NatGeo (EP Allan Butler, and of course the fact checking team). There is only one word to describe this production: crazy! With this film Scandinature helped coin the new buzz word, the “fast turnaround documentary”. We set an example, which was later continued by NatGeo teams doing a story on the oil spill in the Gulf , and several TV companies that did the Fukushima nuclear disaster. It is not the first time Scandinature has set a benchmark for documentary film making. We are proud of the people involved. And, did we mention that the film got an Emmy nomination for the cinematograhy.